22 Jan What’s the buzz on balayage? 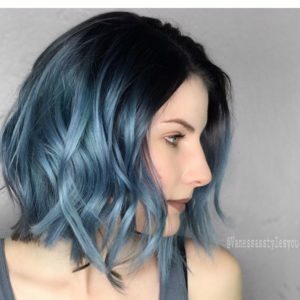 You may have heard about this hair trend that has been around since the 1970’s, but has recently made a comeback around salons, coffee shops, and even on the red carpet. 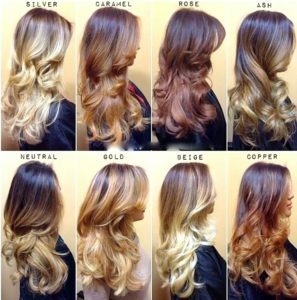 The word ­­“balayage” is French for “to paint,” which is exactly how a balayage is applied. Balayage is a free-hand hair painting technique which starts below the roots. Balayage color isn’t saturated until the very ends, producing a soft transition into color. 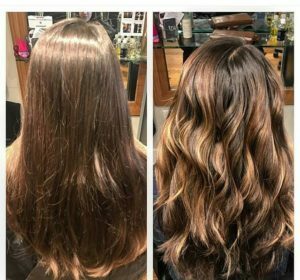 Due to the soft and subtle nature of this technique, balayage is a great option for a more low-maintenance look, because the regrowth of roots doesn’t create a harsh line. The balayage technique creates a more subtle and natural look than that of foiling. What options do I have for color? Your balayage can be any color you want whether you’re into a fall red, a cool blue, a caramel blonde or anything in between. 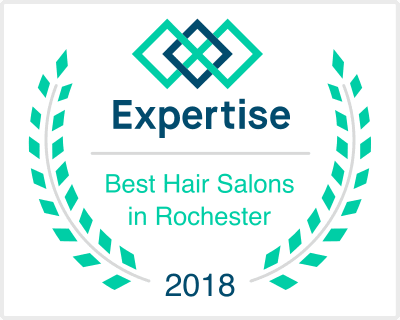 Your stylist can help you come up with the perfect color to lighten up your facial features, give you that bold and spunky look you’ve been waiting for, or even add depth to your gorgeous curls. If you’d like to set up a free color consultation we’d love to help you figure out your best new look.